The Turkish – Greek relations are extremely contentious in today’s world. In order to better understand this issue, Necat Ayaz interviewed Christodoulos Yiallourides, Professor Emeritus of International Politics and director of the Centre of Eastern Studies for Culture and Communication at the Panteion University of Social and Political Sciences . A specialist in history and politics of the Middle East and the wider Islamic world, Yiallourides explains the success story of modern Greek nation-state, how it developed its own identity that continues to inspire the stateless nations of ethnic groups such as the Kurdish people. It is true that both nations have insistently preserved their languages and identities without having state structures. Greek Orthodoxy had also an important role to keep the language and identity live. Both nations struggled in different periods of human history aiming liberty and the establishment of a nation-state. 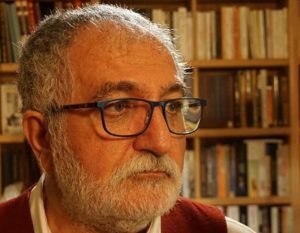 Necat Ayaz: Kurds have been decisive forces shaping politics in Iraq and Turkey and have gained considerable power by controlling one third of Syria”s soil. 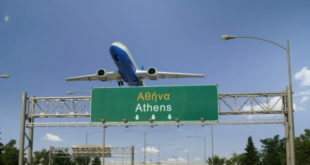 Considering these developments, do you think that Kurdish issue draws enough attention of Greek academy? 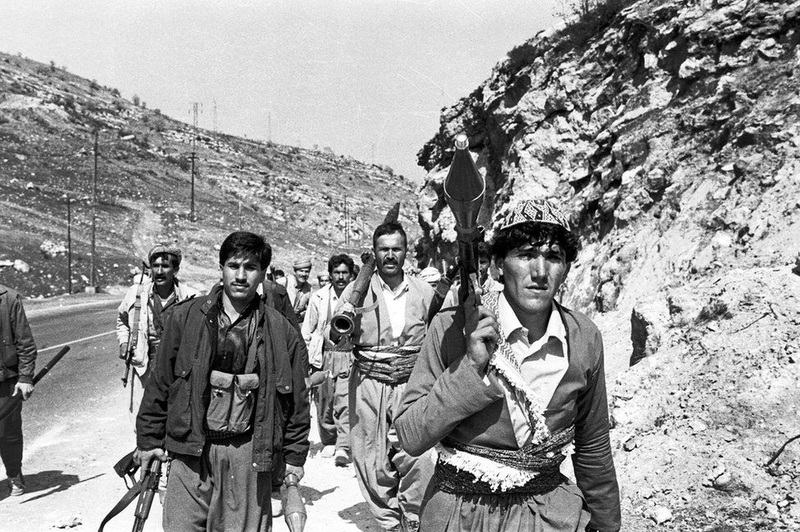 Christodoulos K. Yiallourides: I couldn’t agree more with the assumption that the Kurdish issue has been shaped lately by decades of struggle with ultimate aim the liberation and the independence of a potential political entity, which is heading towards the creation of an evolving national Kurdish state. 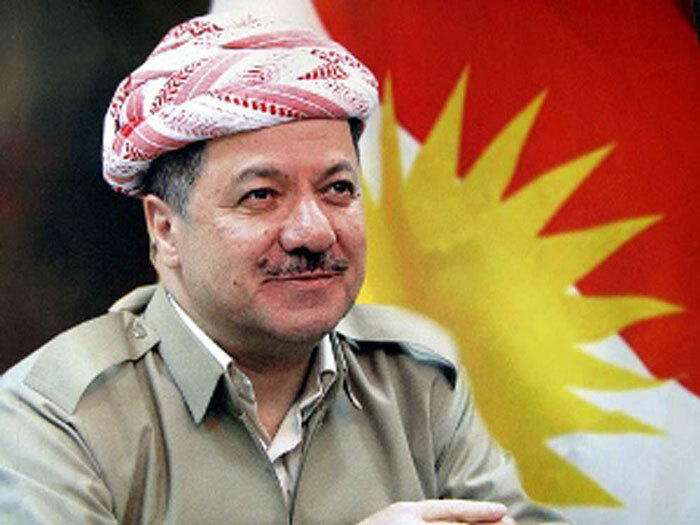 Hence, in view of the positive stance and terms of international support over the issue, the final victory of the Kurdish upheaval relies on the harmonic and fruitful cooperation between the Kurdish political organisations across the world and on the planning of a common strategy for a gladsome result for the Kurdish nation. In conclusion, the Greek academic community is scientifically preoccupied with the Kurdish national issue, conducting thorough and multi-level research. 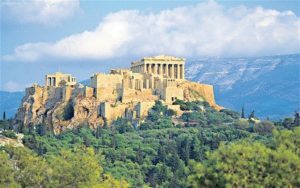 Necat Ayaz: After Antic Greece, Greek had not had a state of their own more than two thousand years. 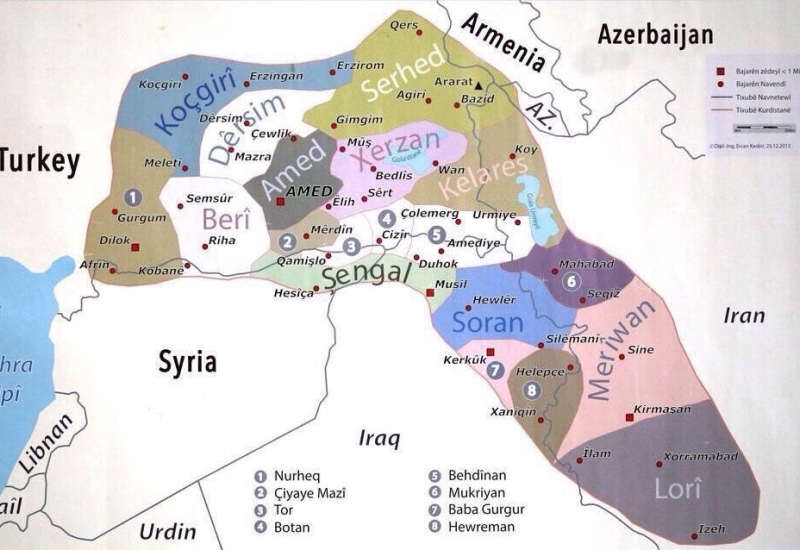 Kurds also have not had a state since Medes which is claimed as the ancestors of Kurds. Despite not having state power, both people have been able to preserve their identity and language obstinately. What do you think about these similar ways of existence? Christodoulos K. Yiallourides: It is true that both nations have insistently preserved their languages and identities without having state structures. Greek Orthodoxy had also an important role to keep the language and identity live. Both nations struggled in different periods of human history aiming liberty and the establishment of a nation-state. After the fall of the Byzantine Empire and Constantinople, where the greek element had prevailed, Hellenism was found until 1821 under the Ottoman yoke. Since 1821 until 1947, when Greece annexed the island chain of Dodekanisa, the modern Greek state developed its identity and course. Nowadays, Greece constitutes a state entity with an international orientation, as a member of the United Nations, the European Union, the North Atlantic Organization and the Council of Europe. To sum up, I anticipate the Kurdish issue to follow its own national course resulting in the creation of a Kurdish state, which would embody the political shelter of its national history. Greek fighters defended “Ena Kratos Ena Etnos” (One Nation One State) and tried to brought all Greeks under one nation state. For sure, creation of nation-states was a revolutionary action in 19th century. 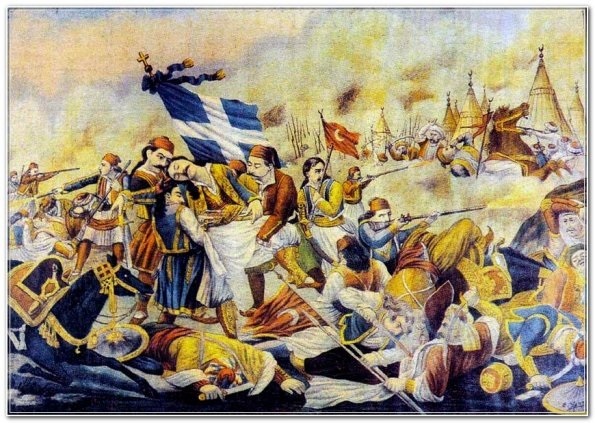 Necat Ayaz: Why Greek calls uprising against Ottomans as “Elenika Epanastasi” while many nations call their national uprisings as “liberation war”? If it was a revolution, what factors made this uprising a revolution? Christodoulos K. Yiallourides: Without a doubt, a revolutionary action always leads to structural subversion. Greek upheaval in 1821 is considered as a revolution as in a period of 150 years it managed to contribute to the disintegration of the Ottoman Empire, which took place in 1920, and to complete the creation of the Greek nation-state with the annexation of the island chain Dodekanisa. Greek fighters defended “Ena Kratos Ena Etnos” (One nation One State) and tried to brought all Greeks under one nation state. For sure, creation of nation-states was a revolutionary action in 19th century. 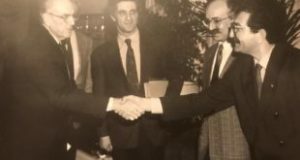 After the establishment of the Greek nation-state, the revolutionary processes, apart from their interior strength, were continuous, enjoying permanent international support from a powerful global, European and American philhellenic movement. Megalo Idea was continued until annexation of Dodecanese islands in 1947 which marked the beginning of modern Greek national state. Necat Ayaz: Greek was the first broke away from the Ottoman Empire but Kurds attempts for separation had been limited with regions and never reached the countrywide level. What kinds of elements contributed the success of Greek uprising? Christodoulos K. Yiallourides: The integral element that contributed to the Greek Revolution was the Christian orthodox identity of the Greek People as the descendants of a historic nation. These elements managed to preserve alive the identity of the Greek nation, during four centuries of enslavement, and to contribute to its renaissance as a state. On the other hand, there were a very strong international solidarity with Greek uprising. The number of friend of Greece were increasing between intellectuals and politicians in Europe and America. Even famous English poet Lord Byron fought against Ottomans in Mesologio and drew attention of Europe to the resistance of Greek. The integral element that contributed to the Greek Revolution was the Christian orthodox identity of the Greek People as the descendants of a historic nation. These elements managed to preserve alive the identity of the Greek nation, during four centuries of enslavement, and to contribute to its renaissance as a state. 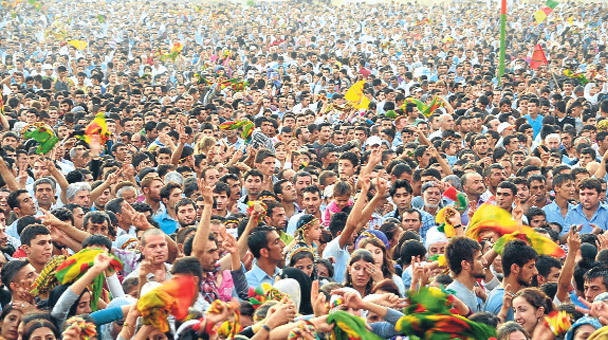 However, the Kurdish people had a different course, which was changed by the leadership of the Turkish state, especially during the decade of the 1920s, when Mustafa Kemal Ataturk conspicuously broke his concession to Kurdish People to exercise their right of self-determination. Necat Ayaz: Turkey occupied northern Cyprus 45 years ago and remained there until now. 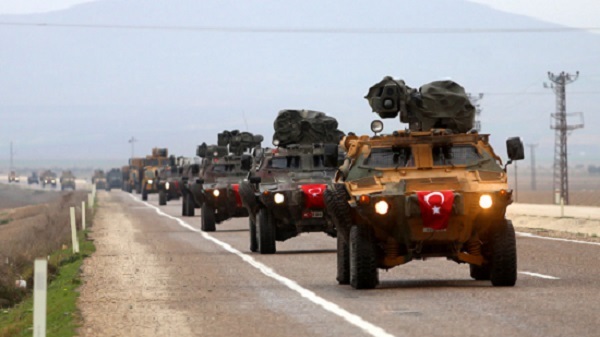 Turkey insistently has been continuing its military existence in Kurdistan region of Iraq. On the other hand, Kurdish northwest enclave of Afrin and the other territories at the western of Euphrates in Syria were occupied by Turkey recently. It also has dispute with Greece over the issues of Aegean continental shelf and territorial waters. How do you think that the this expansionism of Turkey can be contained? 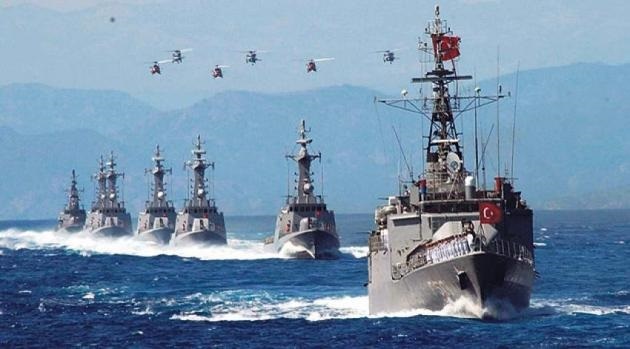 Christodoulos K. Yiallourides: It is an indisputable fact that Turkey is a revisionist power, which attempts to lay a web of influence and conquest in the Southeastern Mediterranean, the Aegean Sea, as well as the Kurdish region outside of Turkish territory. 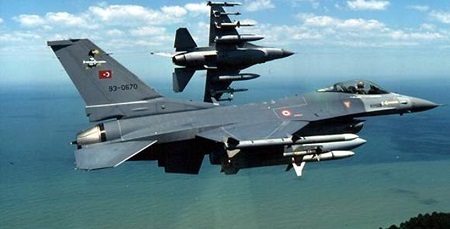 That could be addressed via deterring power projection on behalf of the Greek state, a right inherently given to states in the occasion of threat, and via unity of nations’ and peoples’ power in order to create an alliance of common interests and to confront the threats of Turkish revisionism. We had one strong leader confronting expansionism of Turkey and unified nation and the state in very successfully. Andreas Papandreu was a leader taken into consideration in international level very seriously. He had also peace policies for Agean and Mediterranean which had been implemented for a long time. You need to be courageous, and also have principles and programmes to have a say in international relations. It is an indisputable fact that Turkey is a revisionist power, which attempts to lay a web of influence and conquest in the Southeastern Mediterranean, the Aegean Sea, as well as the Kurdish region outside of Turkish territory. Necat Ayaz: After the July 15 coup in 2016, Turkish officers convicted in the “Sledgehammer” trials were promoted to important position in the Turkish Military. Major-General Levent Ergün, who was previously sentenced to 13 years in jail in the Sledgehammer trial, was appointed as the head of General Staff’s operations division, while two other Sledgehammer suspects became vice chiefs of staff of Turkey’s Aegean army and navy. After the coup, Retired Major General, Ahmet Yavuz argued on CNNTurk that: “Major-General Levent Ergün who is a real Turkish hero was trying to invade the Greek Islands, like Samos. He said Greek military existence in the islands is a threat to Turkish national security.” Why do you think the Turkish army sees the Greek army as a threat? What if the Turkish army invades the Samos island? What would be Greece’s position? What would be Russia’s position? Please remember that the Turkish military and Levent Ergün, the head of General Staff’s operations division, have full Russian support. Christodoulos K. Yiallourides: The reality, as it is formed by the international balance of power, is completely different from what the Turkish leadership presents, as for decades, in particular since 1952, Turkey implements a revisionist policy on the expense of the Aegean Sea and the Southeastern Mediterranean. Hence, in actuality, that policy constitutes albeit for the attacker. 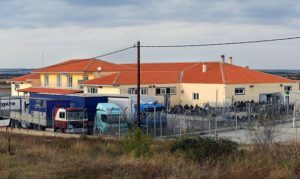 In the supposed occasion of an attack against the island of Samos or any other part of the Greek territory, the offender will face the military reaction on behalf of Greece deploying its defensive mechanism, an inherent right of any sovereign state when its existence is under threat. 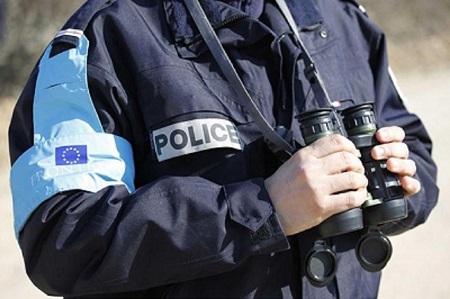 Unfortunately Greece has not had any policy regarding the Kurdish problem and gross human rights violations committed by current regime in Turkey. The politicians in this regard have been shortsighted. Necat Ayaz: Greece has not had any policy neither officially nor unofficially regarding Kurdish problem in Turkey and more generally it has not had any policy about gross human rights violations committed by current regime in Turkey. Do you think that to prefer to be silent in such an issue can be defendable? Christodoulos K. Yiallourides: Unfortunately Greece has not had any policy regarding the issue you mentioned. The politicians in this regard have been shortsighted. If we look at an example we will understand this attitude clearly. Our government invited Turkish president Erdogan to Greece in a period that European leaders did not prefer to meet him. Similarly, Alexis Tsipras visit to Ankara was not meaningful and brought nothing to the Greek foreign policy towards Turkey. 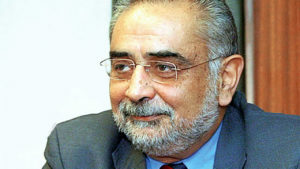 Necat Ayaz: You were one of the leading figure inside the academicians criticising Annan Plan. You claimed that the plan involved “Turkification of Cyprus” and you called for “national survival” against the plan. Don’t you think that rejecting this plan gives an excuse to Turkey to continue the de facto partition of the island? Christodoulos K. Yiallourides: The Annan Plan would degenerate Cyprus, according to internationally acclaimed constitutional experts, into a puppet-state under the influence of the Turkish state. 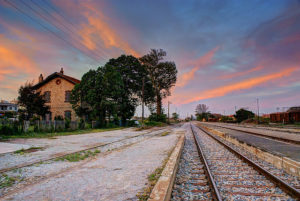 The major fight which was then given aimed to prevent a system of governance which would violate human rights and civil liberties of Cypriots, as the Annan Plan did not consolidate at all the democratic Principle of One man – One vote. On the contrary, the Plan stipulated that the structure of the state would be based on national and racial discrimination, dividing a comprehensive entity, which would be since then dependent on Turkey. Moreover, the Annan Plan introduced, in an unprecedented manner, provisions in order to legalize Turkish settlers on the island. Having said that, illegal settlement constitutes a war crime according to international law. The plan for the partition of Cyprus had been already conducted in the 1950s by the Turkish constitutional expert Nihat Erim under the guidance of the then Turkish Prime Minister, Adnan Menderes. 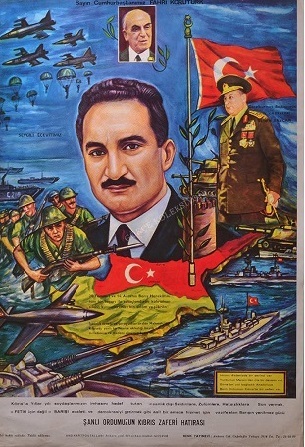 In my opinion, the rejection of the Annan Plan in 2004 does not rationalize Turkish policy, providing that the plan for the partition of Cyprus had been already conducted in the 1950s by the Turkish constitutional expert Nihat Erim under the guidance of the then Turkish Prime Minister, Adnan Menderes. Hence, it is common knowledge in the international community that the planning of Turkish policy is rooted in the past. Thus, in 1974 Turkey took advantage of “an opportunity” to commit a crime of invasion and occupation at the expense of Cyprus. Necat Ayaz: Arend Lijphart and many researchers following his path have been suggesting power sharing mechanisms as a solution to conflict in divided societies. Do you think that power sharing is appropriate to keep the Greek and Turkish Cypriots together in a united Cyprus? If you disagree with such a solution what kind of mechanisms do you suggest for unification of the island? b) a central federal authority, which will decide on behalf of the population and will be democratically elected. c) regions enjoying the autonomy of a local, a cultural and political nature. In these autonomous regions will be developed cultural policies in a local or a national level. Christodoulos K. Yiallourides is Professor Emeritus of International Politics. He heads the Centre of Eastern Studies for Culture and Communication at the Panteion University of Social and Political Sciences. He has served as President of the Hellenic Foundation for Culture, as Dean of the School of International Studies, Communication and Culture at the Panteion University, as Director of the European Cultural Centre of Delphi and as President of the Scientific Board of the Institute of Defence Analyses of the Hellenic Ministry of Defense. His teaching and research interests focus on International Political Theory, Cultural Diplomacy, the Question of Democracy and Islam, Foreign Policy of the Superpowers: USSR/Russian Federation – USA, Turkish Foreign Policy, Media and Foreign Policy in the New World Order, Greece-Turkey Relations. He has authored numerous books and articles in Greek, German and English.